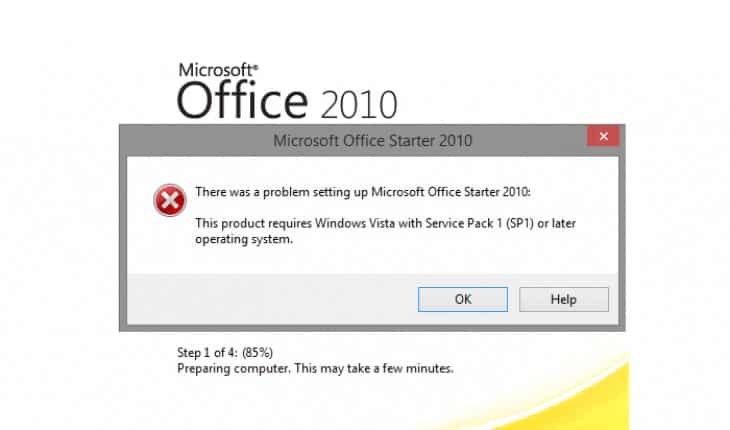 Office 2010 FIX: install and uninstall errors (Starter version too). Here is a most common Office install and uninstall errors solutions. We provide Office 2010 fix, but some steps may be working for other versions too. During the install you may get errors, that your system is not compatible. For some operating systems like Windows 8 or Windows 10 you need special setup files, which skips system checking step. You may find it on: How to get a free office program? Microsoft and alternatives. Download 3 fixes: O15CTRRemove, Fixit50450 and Fixit50605. Run one by one, and follow the steps on screen. They will remove any leftovers left by previous Office 2010 installation. Remember: you must right click each fix file and click “unblock” button. If you getting error that fix is not compatible with your operating system – right click file select “Properties”, open “Compatibility” tab and check compatibility mode setting to “Previous version of Windows”, click “Ok” and execute it again. Previous error steps should fixed it, all you need to do now just restart your system, if drive Q is removed the error will not appear again during the install. Sometimes Office cannot be uninstalled by the control panel. In this case you may try special fix it software. Here is the official Microsoft link: https://support.microsoft.com/en-us/kb/971179. If if does not solve the problem we suggest special a uninstallers like Revo Uninstaller. It is free and portable application which scans for leftovers after the standard uninstall. After that just follow steps from the section above with error: “There was a problem setting up Microsoft Office 2010″. To completely remove it. A lot of people ask why mysterious partition appeared on my computer having letter Q. It is not accessible nor it can be deleted, partition manager does not see it too. It turns out that it is Office 2010 partition. So how to remove it? You must remove Office first and then just follow steps from the section above with error: “There was a problem setting up Microsoft Office 2010″. Hope this will help you fix your problem. Having a different error? Leave a comment below will try to help you out.